Here is a large image of a dandelion seed. Happy exploring! For more information on the pine cone, have a look at the following post: The specimen size is approximately 20mm from left to right. 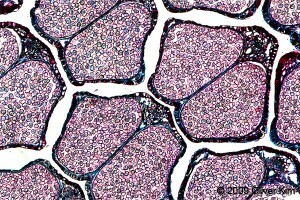 The wood of a spruce tree (whitewood) under the microscope. The annual rings are clearly visible. 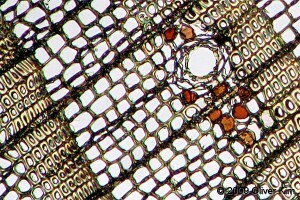 It is possible to observe the impression of leaf epidermis cells on white wood glue. The stomata and guard cells are easily visible. The regular shape of the stomata makes it an ideal specimen for practicing drawing.